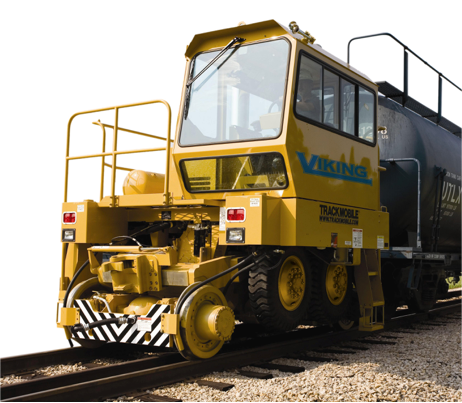 The Viking by Trackmobile is a small format railcar mover. This unit is capable of hauling 12+ railcars when operating in a normal flat application.With a strong tractive effort rating for a unit of this size, the Titan is ideal for light to medium use applications. 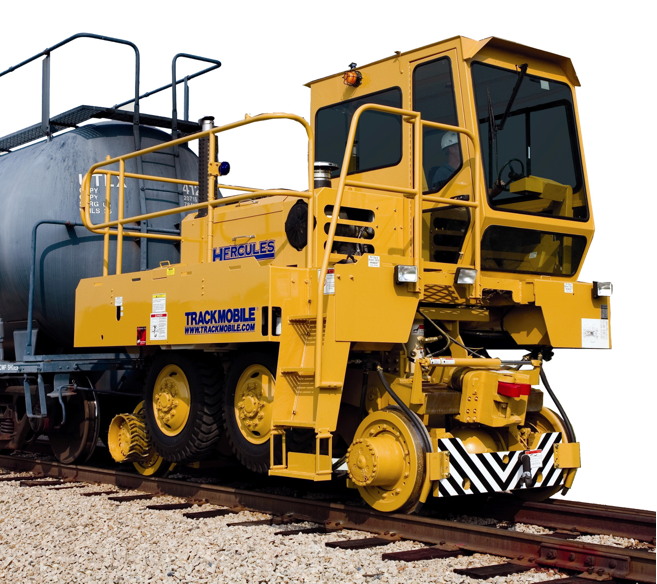 The Hercules by Trackmobile is a mid-sized railcar mover. This unit is capable of hauling 17 railcars on average when operating in a normal flat application.With a high tractive effort rating, the Hercules is ideal for medium to heavy use applications. The Titan by Trackmobile is a large format, high capacity railcar mover. This unit is capable of hauling 25+ railcars when operating in a normal flat application.With a high tractive effort rating, the Titan is ideal for heavy use applications. As one of the largest Trackmobile parts and service providers in the Midwest, our stock of replacement parts for Trackmobiles is unmatched. Wiese Rail Services provides parts and service for all makes, models, and ages of railcar movers including Trackmobile, providing a one-stop shop for all servicing needs. Visit our Trackmobile Parts website (link at right) for more information on the types of parts that we carry. Capitalize on our expertise with complete parts programs and scheduled maintenance plans that help reduce your costs by diagnosing issues before they become costly problems. Wiese Rail Services realizes that every operation is different and we are able to custom design parts and service programs to meet the unique demands of your business. Wiese Rail Services offers an exclusive Rail Sand Subscription Service that allows you to lock in prices before harsh winter weather sets in. The Rail Sand of locomotive traction sand has proven to increase productivity in your operation. Save time and money by locking in low subscription pricing now. Wiese Rail Services will deliver Rail sand on a monthly, bi-monthly, quarterly or seasonal basis direct to your location. Four drums of Rail Sand are delivered based on your preferred frequency. Standard shipping is included - simply tell us what day you would like to receive your shipment. Running low and need your shipment sent sooner? Call your Trackmobile Parts Specialist before 1:00 p.m. CST and we’ll ship your order the same day. 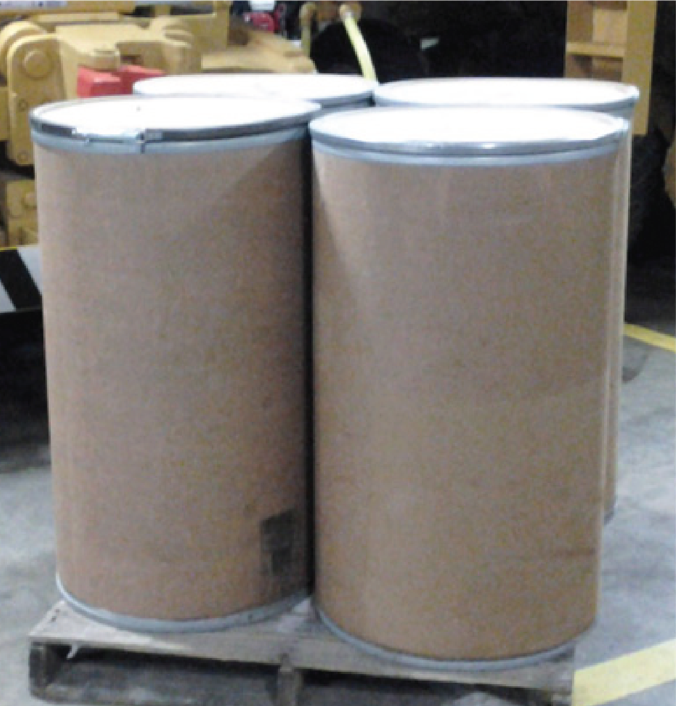 Each drum is approximately 500 pounds and each delivery will include four drums. Standard shipping included within the Continental US. Wiese Rail Services is your sales and rental source for Trackmobile railcar movers. 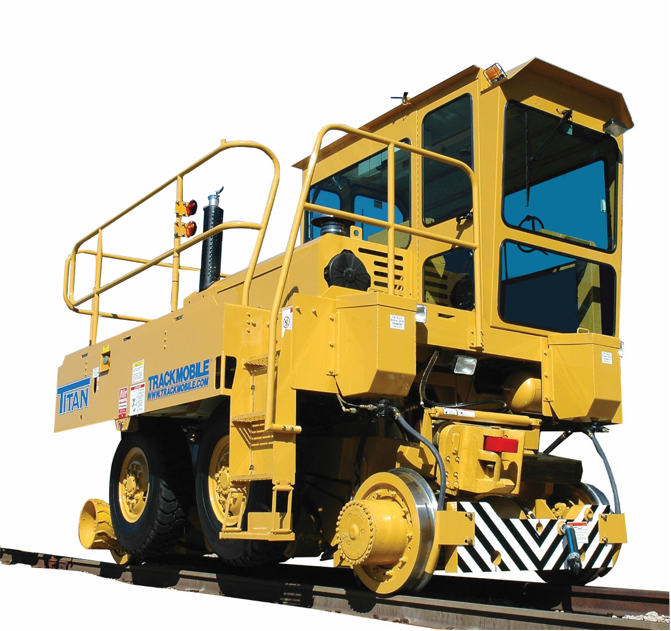 We offer a wide variety of equipment from Trackmobile, the industry's most recognized manufacturer of quality railcar movers. Our factory trained technicians maintain our large, late model rental fleet to like new standards.